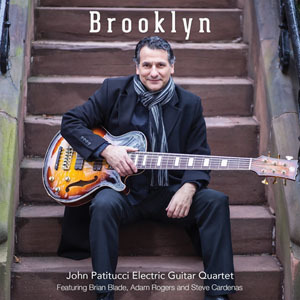 Having already given us an excellent account of himself as both a virtuoso acoustic bassist as well as on electric bass, with scores of stellar musicians and in various projects that he has led, John Patitucci now treats us to one of his deepest, most meaningful electric bass adventures. Brooklyn is a veritable musical vortex into which he draws the ingenuity of drummer Brian Blade and guitarists Adam Rogers and Steve Cardenas. It is, ostensibly a date where Mr. Patitucci gets in touch with his earliest musical impulses: the blues and all the rest of the music that it begat. There are totally eleven songs and you will still not have had enough by the time the album winds down almost an hour after it began. No prizes for guessing why because the bassist unveils the shape (and sound) of things to come right from his opening discourse – a magnificent coupling of bass and drums, followed by one featuring the two guitarists on “IN9 – 1881/The Search”. I have long been a great admirer of John Patitucci – right from the days of his 1987 eponymous debut as a leader. Few bassists – and even fewer electric bassists – have his instinct for the placement of the right note exactly where it should be, with just the right interval, accent and expression; and whereupon he has done all of the above, to follow this with a myriad of other notes that embody the same character. Mr. Patitucci is, in short order, something of a prodigy. I am aware that I am stating the obvious to the cognoscenti, but to the unsuspecting it might come as a surprise that there are bassists other than Victor Wooten and Avishai Cohen (when playing electric bass) who incidentally have been cut from that same block of genius carved by God. Mr. Patitucci has proved this time and time again, on some twelve albums. There is something that this album has in common with Remembrance (2009). It is comprised of four distinguished soloists and yet it is nothing like an ego-fest as you might imagine. The reciprocity in the playing of Mr. Patitucci, together with Brian Blade, Adam Rogers and Steve Cardenas allows you to listen to Brooklyn almost as chamber music for its own sake rather than the musical curiosity these all-star combinations can often be – they only show their soloists’ mettle when appropriate and in a way that makes this disc feel like you’re having your cake and eating it (there is an engaging amount of this in “Band of Brothers” in particular, which is never over-egged, despite much of it being in ensemble playing. Speaking of which the playing as a group is almost hymn-like, which is not to give the impression of these being four choir boys, but rather one voice that rolls over the songs with such distinction that each piece progresses with infectious joy in all of the innate ‘Patituccian’ intelligence and humour. That’s probably why each of the songs are so packed with incident. With its strenuous, delightfully conflictual and flighty inventiveness of the original compositions to through the two Thelonious Monk classics – “Trinkle Trinkle” and the profoundly exquisite “Ugly Beauty” to the concentrated blends of eruptive combativeness and whimsical extravagance (of the blues-ier pieces) that is, if anything, more impressive. 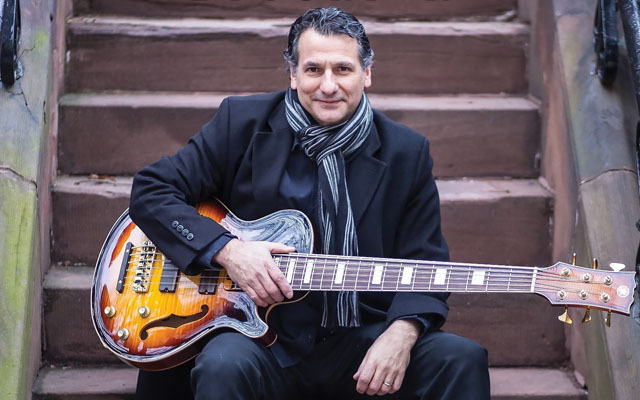 True the high point – for Mr. Patitucci and his magnificent-sounding new semi-hollow-body, six-string instrument may not (for those hard-nosed followers of Mr. Patitucci) come until we reach the spiritual “Go Down Moses” and the loaded solo “Tesori”. But it is also true that the consistency and ingenuity of this ensemble’s playing comes from the high metabolic rate of the entire repertoire on this disc. Also, with electric instruments (drummer excluded) and in a digital realm the engineering by Joe Barbaria, with John Davis and Todd Carter and the masterful mix of Mark Wilder add a tonne more enjoyment to the listening experience. Track List: IN9 – 1881/The Search; Dugu Kamalemba; Band of Brothers; Trinkle Trinkle; Ugly Beauty; JLR; Do You? Bells of Coutance; The Thumb; Go Down Moses; Tesori. Personnel: John Patitucci: electric bass; Brian Blade: drums; Adam Rogers: guitar; Steve Cardenas: guitar.